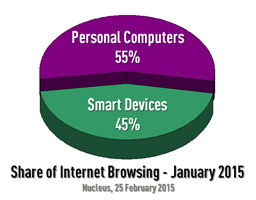 The share of internet browsing on mobile devices has been advancing rapidly in the last few years and has reached 45%. As part of its “MOBILE FRIENDLY” initiative, Google will be introducing another one of its regular changes to its formula for ranking websites, its ALGORITHM. If your website is not optimised for mobile viewing, your Google rankings could suffer and lower website visitors and enquiries could have a detrimental impact on your business! On April 21, 2014, Google will release a major update of its algorithm designed to penalise websites that are not mobile friendly. Consequently, it is of paramount importance that businesses ensure that their websites are optimised which means ensuring that the content that can be viewed perfectly fine on desktop PCs can be viewed equally well on mobile devices. Consequently, websites with no mobile usability after April 21st are likely to suffer a fall in their Google search engine rankings. In worst case circumstances, companies who do not have mobile optimised site, may no longer be found on the first page of Google’s search results. 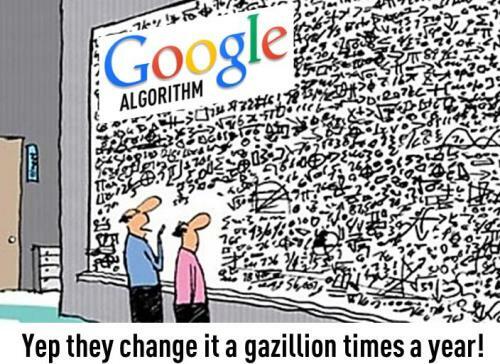 What’s more, to meet Google’s requirements, every page of your website has to be optimised, not just a few pages. 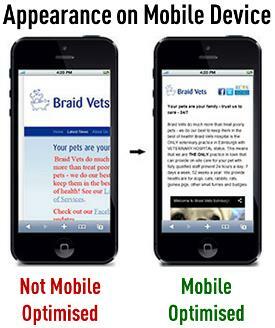 If you’d like to find out how you can make your site meet Google’s requirement, please click the image to the right to see some of our responsive mobile friendly websites.